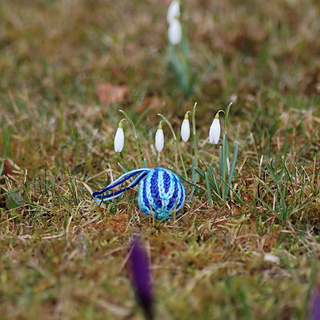 Don’t we just love small Easter decorations? 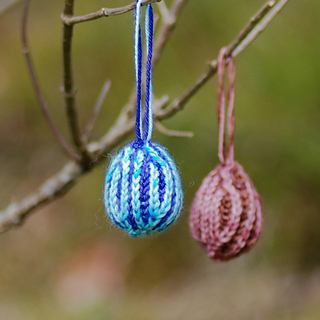 This cute brioche egg is the perfect scrap yarn project and you can use whatever yarn you have. 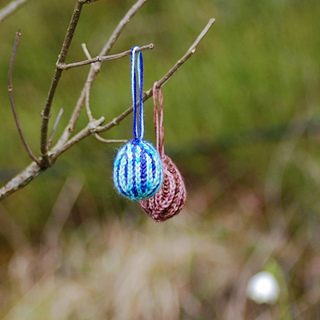 Make a set of matching eggs or mix colours as you like. 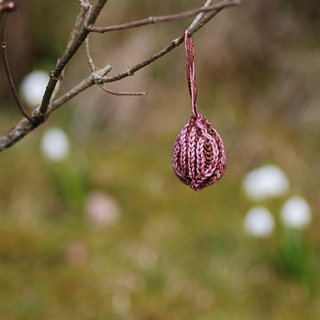 This egg is a fast brioche project and once you have worked up the speed you can knit a few of them in just one evening. Gauge is not crucial, just use the recommended needle size for your yarn. How big the egg will be, depends on the yarn you choose. The thicker the yarn, the bigger the egg. You need to be familiar with brioche knitting in the round with two colours as I am not explaining a lot on how the brioche works.